India's Prajnesh Gunnesweran won his encounter while Ramkumar Ramanathan and Sumit Nagal lost their respective men's singles opening round matches at the French Open Qualifiers. Gunnesweran beat Italian Salvatore Caruso in straight sets 6-4 6-4 to enter the second round in an otherwise disappointing day. 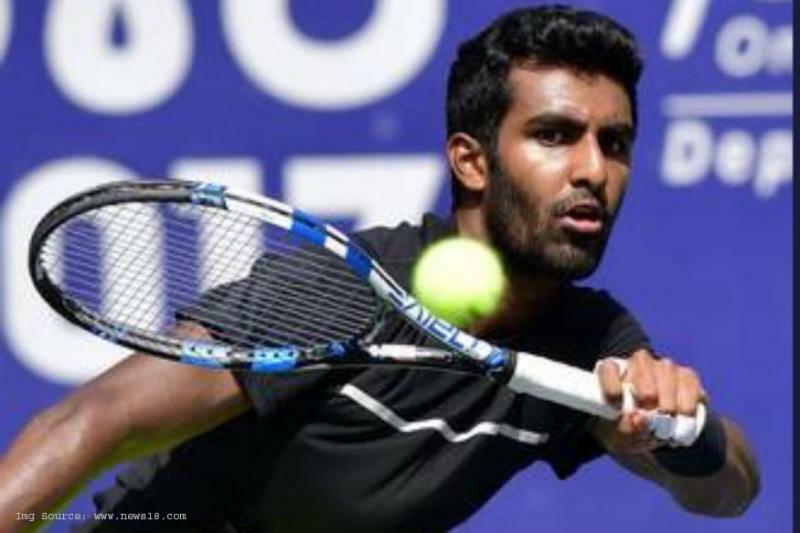 The left-handed Prajnesh (world no 183) recently broke into top-200 after winning Kunming Open Challenger in Anning, China. However young Sumit Nagal frittered away a one-set advantage against 10th seed Slovakian Martin Klizan to lose his opening round encounter. Nagal was up against a player, who recently enjoyed a giant-killing spree at the Barcelona Open, defeating Novak Djokovic and Feliciano Lopez. World No 117 Klizan won 4-6 6-4 6-1 in just over two hours. Ramkumar, who was seeded 12th lost to world No 225 Jay Clarke 3-6 7-5 1-6 in an hour and 51 minutes. Yuki Bhambri has earned direct entry into the main draw after breaking into top-100.